What to Look for in a class - AQUATIC SOLUTIONS, INC. American Red Cross classes for: Lifeguarding Instructor, Water Safety Instructor (WSI), CPR/AED Pro, Responding to Emergencies (RTE), Great Prices! Classes Available NOW. Affordable, FUN and Supportive!!! what to look for in your class. Train the right way with Aquatic Solutions.. The successful completion of your certification indicates a person truly knows their skills and is able to respond to an emergency. At Aquatic Solutions we take your certification seriously. Certifications from Aquatic Solutions are often recognized amongst the highest quality because we always train to the American Red Cross standard. Be cautious of courses from other vendors that say they offer American Red Cross and cut corners, don’t go over the material well, and who don’t teach to the Red Cross Standard. Nothing is worse than being in an emergency and not knowing how to protect yourself as a rescuer and/or care appropriately for the victim. Get your Certification from the source.. Your certification is sent directly from the American Red Cross to you and with a genuine distinct QR Barcode added for authenticity. If ever any doubts about the quality of a vendor you have used or are thinking of using please contact 1-800-Red Cross to inquire about them. Quality instruction is everyone’s right to have and most people think of Aquatic Solution as just a place for Lifeguarding and Water Safety Instruction but we do it all equally and uniformly well, from CPR/AED, First Aid, Basic Life Support for Healthcare Providers and so many more. We function similarly at all of our locations like a Red Cross chapter therefore the same quality you would expect at a Chapter class is meticulously duplicated by us. If ever any doubt about a vendor you know or see advertised, always make sure they are an American Red Cross Authorized Provider by calling 1-800-Red Cross and checking on them. Too many fraudulent people out there looking to simply take your money and provide you with way less than you or anyone deserves! Our Staff that make it happen..
We have a dedicated and experienced instructional staff of over 40 Instructors (many bilingual) and 15 Instructor Trainers who oversee the quality of our courses. We realize our students may be working in challenging situations and the quality of instruction is most apparent when you have to use these skills to save or sustain a life and protect yourself in the process. At Aquatic Solutions we enjoy what we do and do all we can so you enjoy your experience with us. This is why families send all their children and friends to us, organizations send their staff to us and local and state organizations use us for their staff because at the end of the day it is not only about saving or sustaining a life, it is about protecting everyone which includes YOU! Aquatic Solutions.. Where Safety and High Quality Training is Standard! 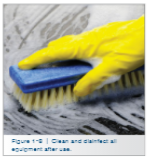 ​​Train with the right equipment that is properly decontaminated. 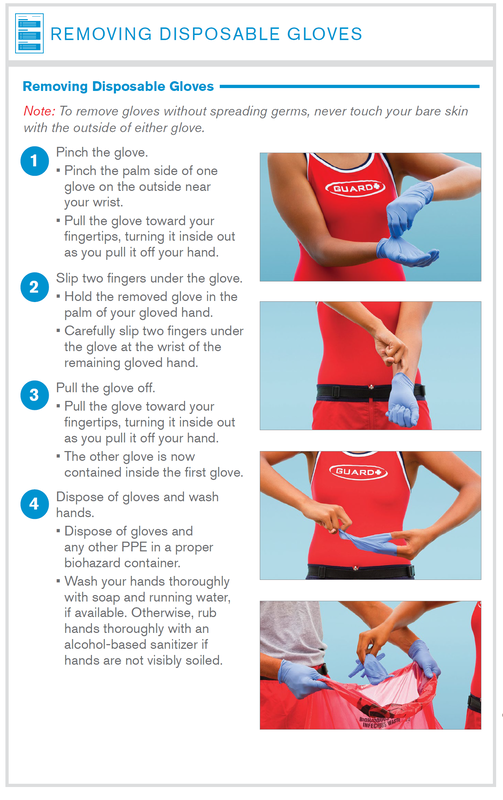 At Aquatic Solutions it is vitally important to prevent the spread of infectious disease through manikin use. Manikins are cleaned and disinfected carefully and consistently. We constantly support using the appropriate Personal Protective Equipment (PPE) during each class. This both helps you protect yourself in class and reinforces your training for an actual emergency. Your safety is #1 in our classes!! We make it fun while making sure ALL Material covered to ensure you are proficient in skills to save a life. Required equipment.. See the difference.. Required mask for Professional Rescuers.. Yes.. Adult and Infant masks are both required!! 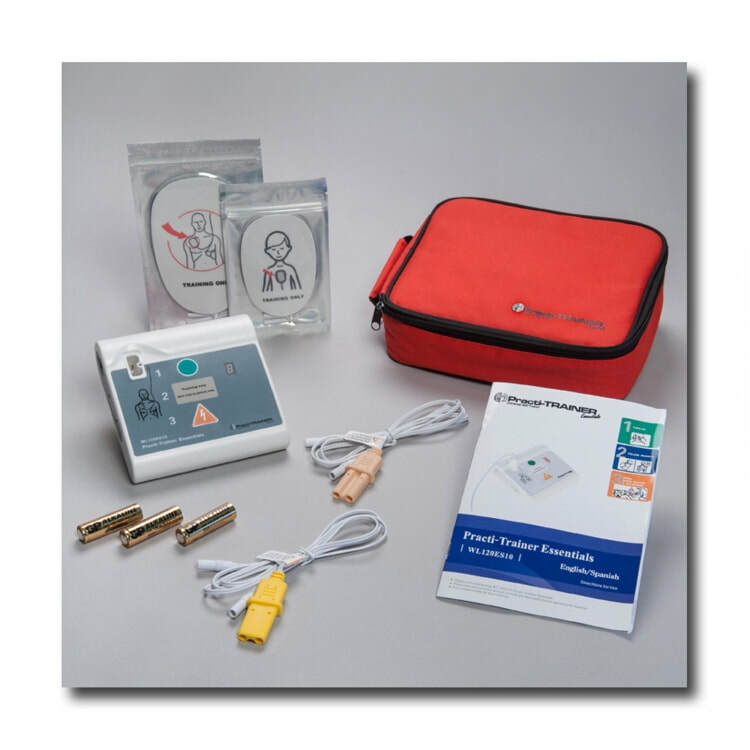 Used for Resuscitation professionals, these all-in-one latex-free resuscitation kits include an Adult/Child CPR mask with one-way valve, plus a separate infant CPR mask. The latex-free CPR mask is designed with graphics illustrating hand placement for administering breaths along with visual reminders of proper head-tilt chin-lift technique. If you used a Face Shield taking a CPR/AED for Professional Rescuer or Healthcare Provider class you were not trained the proper way and is not the American Red Cross Standard!! It simply is a way for organizations to cut costs at YOUR expense! A core requirement of any American Red Cross Class is personal protection. We provide all our students with ample personal protective equipment (PPE) to train on so they know how to use it properly when or if their newly acquired rescue skills are ever needed. We spend a great deal money to obtain the best quality personal protective equipment for our students to use in all our classes. We do not cut corners on your safety to save a buck. In a real life rescue situation even though the risk of disease transmission is very low we nevertheless train and prepare all our students to be safe and sound in a real life situation. We may create the best First Responders but we want them to be safe at all times. Many other providers may want to save money by not providing proper equipment and just mentioning it or showing it in a book. Some say "Ok, we wont make you use them so put on your Invisible Gloves". Omitting this required equipment is simply wrong by not only our standards but it is wrong by the American Red Cross Standards!! 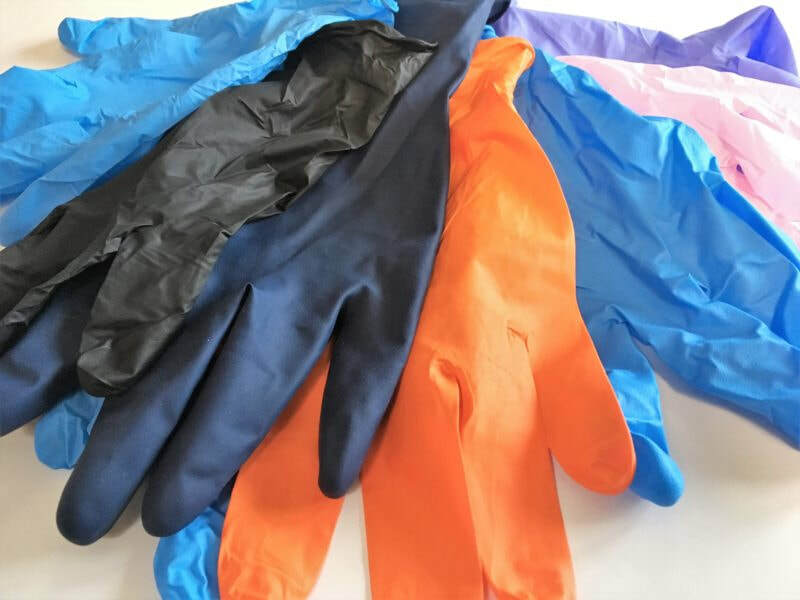 Note: Glove manufacturer brands may vary and the images below are sample examples of glove types. 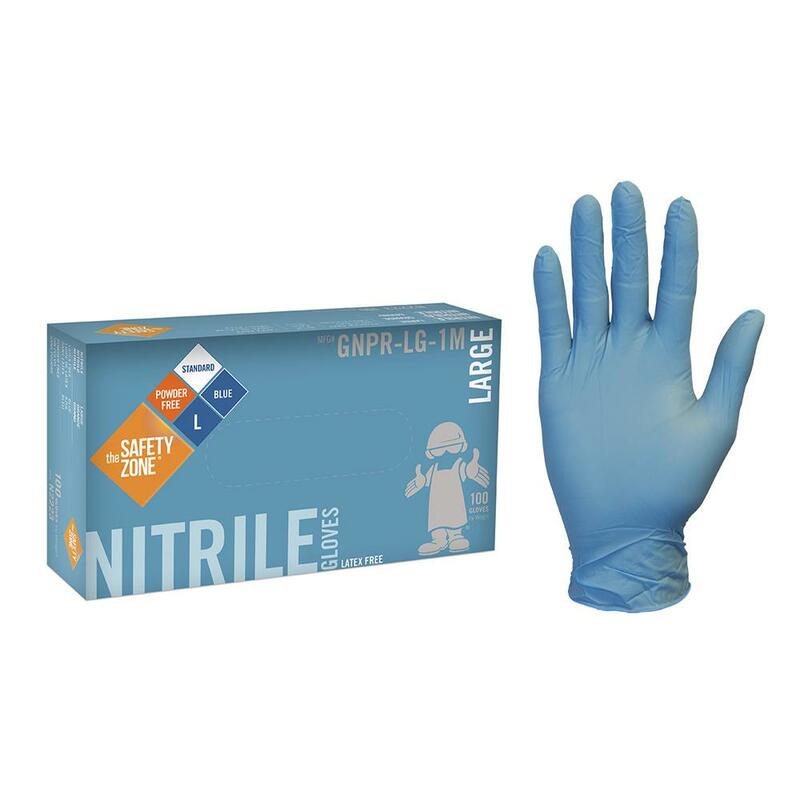 Professional Level and Health Care Provider training requires Nitrile Gloves ONLY. 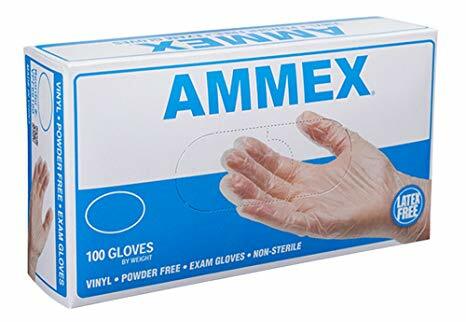 Vinyl gloves are not permitted to be used! 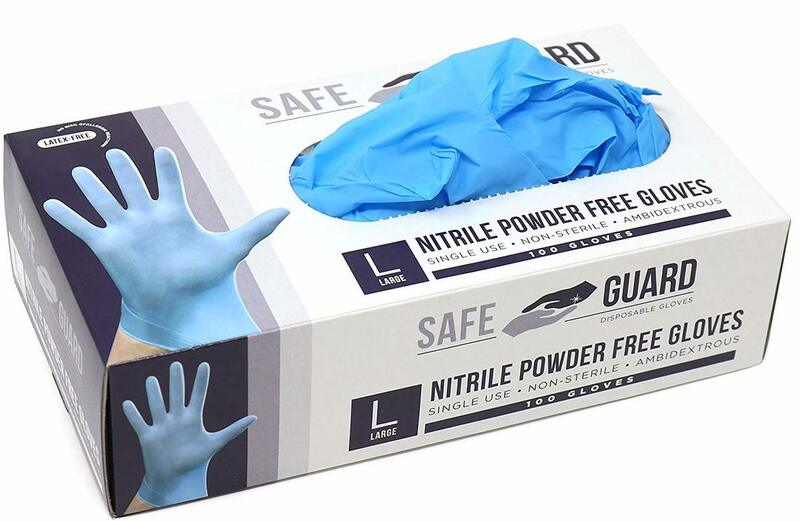 At Aquatic Solutions we only use Nitrile gloves which are a higher quality glove for all our Lifeguarding, BLS (Basic Life Support), CPR/AED for the Professional Rescuer and Lifeguarding Instructor courses. ​Non-professional rescuer classes (such as, for example: Adult CPR/AED, Adult First Aid/CPR/AED, and Adult and Pediatric First Aid/CPR/AED) can use both Vinyl or Nitrile Gloves. For parents, employers, organizations and other folks navigating the American Red Cross training universe for the first time please see below for some important information that some providers may not want you to see. At Aquatic Solutions we adhere to the American Red Cross standards which require ALL American Red Cross courses to be taught EXACTLY as they are outlined in the manuals and we, as an Authorized Provider, agree to do. Not all providers adhere to these same standards and many cut corners at your expense. Some feel that it is ok to simply omit costly training materials or expensive pool rentals and deliver a short course since you as the customer will never really know. We do not agree and strongly believe that is wrong and a complete disservice to the student. We have taken the time below to outline American Red Cross criteria that we feel you should know when picking a provider for a class you want to register for or have registered for and feel a bit uneasy as something may not seem right. When in doubt always contact the American Red Cross at 1-800-Red Cross or via online here https://www.instructorscorner.org/s/questions. Below is some information and what to look for about the more popular courses we offer at Aquatic Solutions. Rest assured that everything you read below is 100% adhered to which is part of the reason we are the #1 Provider of American Red Cross classes and regarded as the gold standard for American Red Cross courses for our quality, consistency and commitment to you! All Candidates are required to complete the Precourse Session and pass prior to the start of the course. Candidates are not allowed to complete this during the duration of the course or at the end. It must be passed successfully before the start of the course. Must be fifteen (15) years old on the last day of the course. I.Starting in the water, swim 20 yards. The face may be in or out of the water. Swim goggles are not allowed. II.Surface dive, feet-first or head-first, to a depth of 7 to 10 feet to retrieve a 10-pound object. III.Return to the surface and swim 20 yards to return to the starting point with both hands holding the object and keeping the face at or near the surface so they are able to get a breath. IV.Candidates should not swim the distance under water. V.Exit the water without using a ladder or steps. Pool with A LIFEGUARD ON DUTY WITH A Depth of 7-10 feet. A pool with less depth than that is unacceptable and not allowed by the American Red Cross. The Instructor cannot be the lifeguard and participants should not be asked to monitor the pool while attending the course. The American Red Cross Lifeguarding course is designed for a minimum of 28 hours and 35 minutes. The Blended Learning Lifeguarding Course (WHICH IS WHAT THE MAJORITY OF OUR LIFEGUARDING COURSES ARE) is designed for minimum 19 hours and 45 minutes. If anyone is advertising a 1 Day Lifeguarding course, or doesn’t meet these minimum time frames, it could cause a Quality Assurance issue as it is not being conducted within the Training Standards outlined by the American Red Cross. There is no such thing as a Lifeguard Challenge or skills assessment for 1 or 2 hours, and if one is offered, you should decline. It is incredibly dangerous for any provider to give you inadequate training as it puts you in a dangerous situation when on the job. The Lifeguarding Program underwent a massive update in 2017. The Lifeguarding r17 program shifted the way a lot of skills are performed. Be wary of instructors teaching you how “The old way is better” or them teaching you skills that are not in the curriculum. A safe way to remember, if it’s not in the videos or in your manual, then the skill is either not real or part of an older program. Again, ensure that your instructor is teaching the curriculum outlined by the American Red Cross, not what they decide is necessary and unnecessary. Avoid "bait and switch" where, as an example for lifeguarding they advertise for 1 location but switch you to a backyard pool or a basement pool 20 to 30 miles or more away. Chances are when there are such unsavory tactics by other providers used the place being listed originally as the "site" does not even know they are being used for such advertising. Also check to make sure your course is at one or two locations. It is acceptable to use a deep water pool for skills requiring deep water and a shallow water pool for other skills that do not require deep water but you should be told that before you sign up and not have it be a surprise. At Aquatic Solutions we always have our lifeguarding courses at one site that meets or exceeds the training standards so that you are not inconvenienced by unnecessary travel. ​ All Professional level CPR/AED courses, even Review and Challenge courses (Challenges are allowed for most American Red Cross courses except for Lifeguarding), require you to wear Latex Free Nitrile gloves and a Pocket Mask (both Adult and Pediatric masks are required-Shown below) ​In this course, you should be using the pocket masks for ventilations. NOTE: For Basic Life Support for Health Care Providers (BLS) & CPR/AED for Professional Rescuers you CANNOT use a face shield. It must be Adult and Pediatric mask as shown in the above picture or similar but it CANNOT be a face shield which is only used in non-professional American Red Cross CPR/AED courses. THIS REQUIRED EQUIPMENT should be provided at the course. 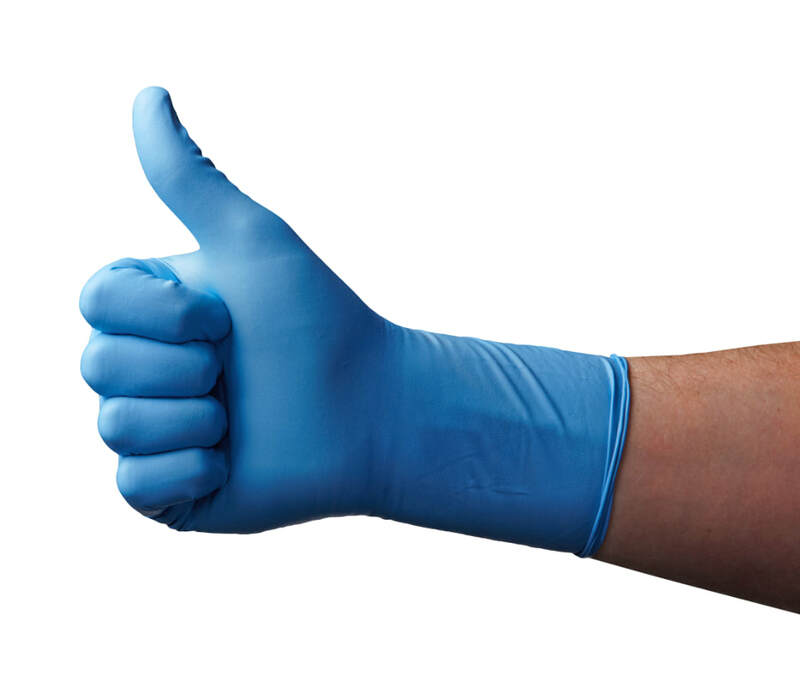 You should be using latex-free nitrile gloves (See below) for all required skills including Adult and Choking skills. ​(Sample AED Trainer Shown below) need to be functional. 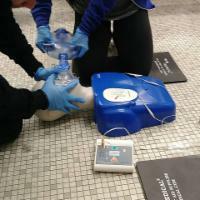 ​NEVER LET AN INSTRUCTOR USE A LIVE AED OR LIVE PADS. For Training in American Red Cross CPR/AED courses ALL units must be AED Trainer Units that cannot deliver a shock. You must have a Lifeguard on duty for all Water Sessions. The Instructor cannot be the lifeguard and participants should not be asked to monitor the pool while attending the course. Ensure that the Water Safety Instructor course has a pool that is at least nine (9) deep. The precourse assessment is based off of Strokes Performance Chart Level 4. You should not be assessed on competitive swimming abilities. Diving needs to be practiced at a minimum depth of nine (9) feet. Students should not be allowed to use goggles for this. Diving (not racing starts) is essential for this course and you are required to learn this. Instructors cannot issue certifications without taking and passing the entire course. It doesn’t matter if you know how to swim or previously held a certificate. Manuals are required for this course. Either a digital or physical manual needs to be provided. Ensure that the course is using the proper Personal Protective Equipment (PPE), such as latex-free gloves. This can be either nitrile or vinyl. CPR Breathing barriers are required for all sessions involving CPR. Gloves are required for all skills including Choking skills. Ensure that you are learning to perform THE SKILLS AS OUTLINED IN YOUR MANUALS OR REFERENCE SHEETS. ONE SUCH SKILL IS TO DO a proper Head-to-Toe Check. This means actually practicing the proper technique on a partner, checking each body part on at a time. This skill is a required skill and the instructor should not skip this skill. Failure to properly be taught this skill results in a course not consistent with the American Red Cross training standards. They should be doing the Put-It-All Together Scenarios at the end of each lesson, and should be giving you the appropriate feedback for correction. This program is designed for 6-10 people per instructor. Any more than 10 participants requires that an instructor be added to meet ratio. Be wary of people who try to push a larger course with 1 instructor as it does not meet the American Red Cross training standards. You should not be in a First Aid/CPR/AED class with 20 people to 1 instructor. That is not allowed by the American Red Cross and it compromises the training you are receiving. This program is very modular, which means there are different combinations of First Aid/CPR/AED outlined for delivery. Ensure that if your course is designated as a Pediatric course that both Child and Infant skills are taught. Make sure there is also enough equipment to use. It is not allowed to have one (1) manikin for ten (10) people or even two (2) manikins for ten (10) people. American Red Cross requires 1 manikin for every 2 people and 1 AED for every two (2) people. 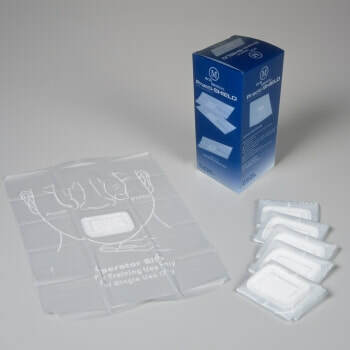 You also must have gauze pads and First Aid roller bandages if participating in a First Aid session. If you do not have enough of this equipment and are being told that is ok not to use it please contact the American Red Cross as that is not correct. For every American Red Cross authorized provider there is a responsibility to adhere to the required equipment lists and ensure that all participants have access to use them for training in the appropriate proportions. At Aquatic Solutions we have an armada of manikins, AED’s, BVM’s and other rescue equipment because we believe that it is not only the American Red Cross requirements to have, but rather it is what our customers deserve and what you pay for to have. Not having the required equipment, cutting time and making stuff up is against the American Red Cross standards, against ethics and is a disservice to the student.